This week, I found a gift for my Dad. It was one of those neat, fun, super duper, one-in-a-million finds that just happens. I stumbled across it and couldn’t resist! 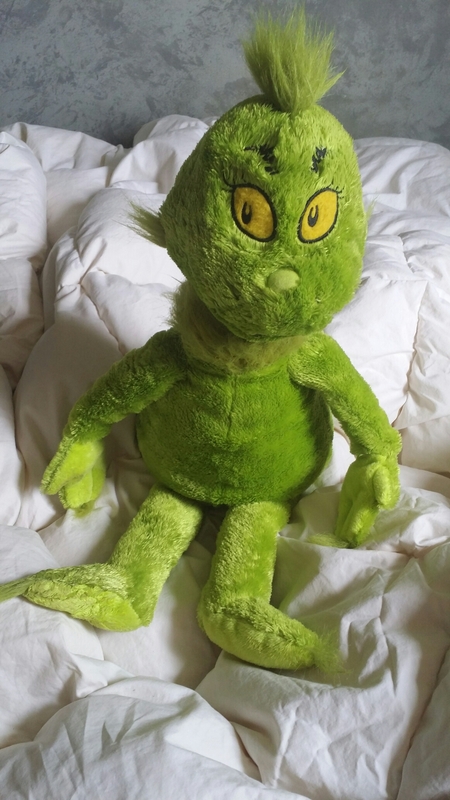 I also picked up the most adorable stuffed Grinch for twenty-five cents!!! He’s going on the tree as a topper!!! He’s pretty big (baby doll size), but I can wire him on top I think. If not, he’s going on a wreath…IF I can pry him away from Jake who claimed him and sleeps with him every night now. I ordered another set of gifts to round out my gift list, and Jake and I decided to make Minecraft sugar cookies (iced and decorated) instead of the traditional Christmas cutout shapes. I found my recipe and am put “dough day” and “bake/deco day” on my calendar! Now I just need to buy the ingredients before then!